My love of all sports was encouraged and developed by the influence of Miss Davenport and Miss Wadsworth who were the PE teachers while I was a student at MLC. It was a natural progression for me to want to teach Physical Education so I attended UWA and completed a Bachelor of Physical Education and a Diploma in Education. 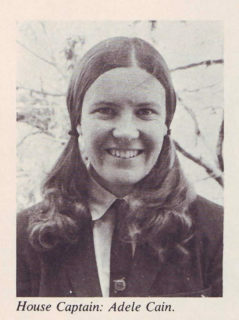 After graduation I worked at St Mary's Anglican Girls' School and then became a full time PE teacher at MLC. When my husband was offered a transfer to New York, I travelled overseas and worked at Columbia University, which was a wonderful experience. After returning to Perth and MLC, I worked part-time at first and then fulltime. I hope I am helping many MLC girls strive for their personal excellence and make a difference. I love teaching and I find it an incredibly rewarding area of work. I am a huge supporter of the College and am proud of all its sporting, academic and artistic achievements. While I love all sports my main passion is hockey, which I first learnt in Year 8 at MLC. I played many years of A grade women's hockey representing WA during the '70s and early '80s in which we won every State carnival bar one. 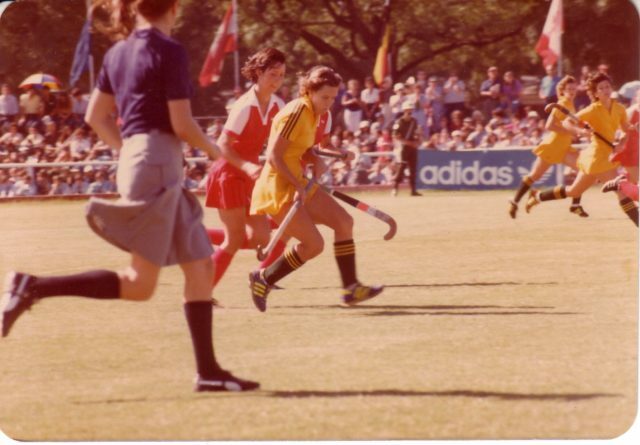 After these experiences I was chosen to represent Australia as a member of the Hockeyroos. The main events I competed in during this time were the World Cup in Argentina in 1981 and the American Cup in the USA, in which we won gold and I was the Vice Captain of the team. I retired from international hockey soon after this to live in New York with my husband. I feel very proud and privileged that I had the opportunity to represent my country at international level. Besides successfully coaching many MLC hockey teams at IGSSA level, I have also coordinated five College overseas tours for hockey teams. I have stayed very involved with hockey and do volunteer work at a club level as coach, captain and selector, at regional level as a coach and selector and for the WA Hockey Association as a State selector and as a member of the Elite Performance Committee. My husband and I now gain great enjoyment from watching our three children play hockey as they also have a love for all sports, but particularly hockey.